Jay was fantastic, knowledgeable, and very friendly! service tech arrived promptly figured out the problem and replaced the broken part. Learned a lot about the new dishwasher including how little soap they require, how little water they use and to make sure you use a rinse agent. Excellent - Will Call Again if Needed! Was last stop on a busy day for the Fridge guy. He was excellent, thorough and did not rush through even though after hours and fixed the issue. Was covered through Whirlpool warranty (thanks) so do not know what cost would have been. Quick Fix, Repairman was Prepared! WASHER WHIRLPOOL WFW94HEAW0 "Order pump has code ld code, making lots of noise, water still inside..customer paid in full; ordrng 1 WPW10515401 (pump-water)"
DISHWASHER WHIRLPOOL WDF330PAHW Debris in the drain pump. Operation tested good after removing the debris. DRYER WHIRLPOOL WET4124HW0 "Temps in drum are normal for 120v dryer, inst cust venting is also slightly restricted, inst cust 120 dryer will take twice as long to dry than a 240v dryer, unit functioning as designed"
REFRIGERATOR MAYTAG MFI2570FEZ05 "A steady leak is coming out of the filter head with the bypass plug in or a brand new filter. The filter head is defective. This caused water to leak out of the refrigerator on the kitchen floor and into the basement below. The entire kitchen floor is damaged along with carpet, parts of cabinets and drywall in the basement. Needs new filter head. Office please x part and ship to tech. Customer is going to fill out the claim form Maytag provided. ; ordrng 1 SHIPTOTECH (SHIP TO TECH) and 1 W11346622 (RESERVOIR WITH FILTER HEAD)"
WASHER WHIRLPOOL WFW94HEAW0 Install pump check over unit tested out good ran diagnostics it went thr fine no leaks..no code..
REFRIGERATOR MAYTAG MSS25C4MGZ00 Customer stated door swings open on its own and the doors are uneven. The door cams on this model are what causes this. I leaned the refrigerator back and it helped a bit. I was also able to level the doors. REFRIGERATOR WHIRLPOOL WRS571CIHZ01 "Installed new compressor, dye drier, user interface and control. Customer will give it 24 hours to cool down." REFRIGERATOR WHIRLPOOL WRS571CIHZ01 "Unit quit cooling in both sections for a couple of days then just recently started cooling again but was struggling to maintain temps. Could hear the relay on the compressor clicking, fans were on but cycling on and off, comp not running. Entered diagnostics and ran tests on thermisterz, all good, fans came but comp did not. Pulled unit out on pad and checked comp, too hot to touch. Suspect control board short cycling components. Ordering main board, UI and comp. Comp available from Dey but boards are special order, cust wanted to know if we could come back and do 5he comp when it comes in and return and do the boards later since it is a no cool situation, i told her we would try to accommodate her but no promises. Cust will call in to office to check; ordrng 1 W10309988 (COMPRESSOR) and 1 W11239666 (UI ASSEMBLY) and 1 W11293378 (CONTROL BOARD)"
WASHER WHIRLPOOL WFW97HEDBD0 "Replace bellow, test ok"
WASHER WHIRLPOOL WTW5640XW0 "Replace valve, calibrate, run test cycle, ok"
OVEN WHIRLPOOL WFE975H0HZ1 "Install inner glass and fix warmer draw it wasn’t lining up and out of place, unit look good now.."
OVEN KITCHEN-AID KEMS308SSS05 "Pulled unit out on dolly and installed new convect fan assembly and lamp for microwave. Tested, light working. Remounted in wall and ran convect bake on oven. Got all the way up to temp and ran quiet all the way. All ops good"
RANGE WHIRLPOOL GGG390LXS02 "Found bad igniter, replaced igniter, still not glowing, only getting 30 v from control, needs new control also, left unit the way was found, removed new igniter added back to stock, customer unreachable from phone, left voicemail with estimate of full repair, also noted in pvr, do not order parts yet, need to charge for trip card number given to tech not going through, as of now customer only owes 97.95, quoted 135.95 for labor; ordrng 1 DONOTORDERPARTS and 1 WP7432P143-60 (igniter- b) and 1 WPW10365415 (cntrl-elec)"
REFRIGERATOR KITCHEN AID KRFF707ESS01 "Pulled unit out on pad and installed new control board and UI assembly. 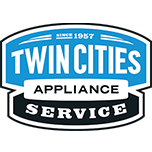 Fans came on, all ops good"
DISHWASHER WHIRLPOOL KDFE104HPS0 "4-3,7-1, replace sump, run test cycle, ok"
WASHER WHIRLPOOL WET4124HW0 "Machine is 120 volt electric, said not drying well, temp is 145 and vent is poor for electric, check washer and put in spin, and is ok, dent in front cabinet of washer"
REFRIGERATOR WHIRLPOOL KRFC704FPS00 "Icemaker not producing ice. Checked icemaker, ice mold empty. Removed icemaker and found wire coming in for fill tube heater broken. Ordering fill tube heater; ordrng 1 W11230096 (FILL TUBE)"
DISHWASHER KITCHENAID KDTE334GPS0 "Plug in disposer, to tight of area to knock out, cust to knock out"
REFRIGERATOR WHIRLPOOL ET8MHKXMT Drain tube plugged again. Operation tested good after defrosting and snaking the drain. WASHER WHIRLPOOL WFW92HEFC0 "Clean out pump check over unit tested out good, no leaks instruct customer to check pocket for small item.."
DRYER WHIRLPOOL WED7300DW1 "Installed control still giving error, control tested ok, found open cutoff, replaced this now cycling okay, inst cust on fixing vent, unit pulled out and vent disconnected upon arrival, water line for steam was also disconnected, all functions ok; used 1 W10900067 (CUTOFF) from stock"
DRYER WHIRLPOOL WED7300DW1 "Found unit not heating, voltage correct at outlet, control getting correct voltage, L2 error, opened panel found smoke residue from control on panel and found several burnt up contacts, control needs to be replaced, left unit unplugged, unit also pulled out upon arrival, customer to call into whirlpool, quoted 85.95 for labor, collected trip, DONOTORDERPARTS yet until customer calls to authorize ; ordrng 1 DONOTORDERPARTS and 1 ESTIMATEONLY and 1 W10802078 (cntrl-elec)"
COOKTOP KITCHENAID KICU569XBL00 The cooktop is rubbing slightly when the downdraft comes up. There is no play in the opening. The cooktop is hitting the granite in front. There is no way putting a new top on would have shifted anything. Customer is going to talk to his contractor to see if there was anything out of the ordinary when they did the install. WASHER WHIRLPOOL WFW9151YW00 "9-1, draining fine today, clean out pressure hose and reseat connections, drain and spin, third spin and drain pump just hums, replace pump, test ok; used 1 WPW10730972 (PUMP) from stock"
WASHER WHIRLPOOL WTW7500GC0 "3-2, replace valve, calibrate, run test cycle, ok, order new ccu for water level; ordrng 1 W11130238 (CCU)"